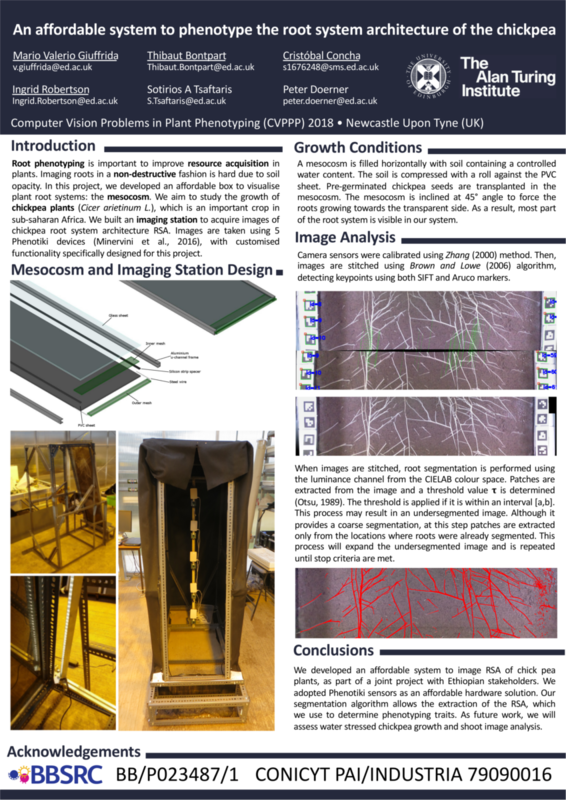 Check out the preprint of our paper on Biorxiv "Affordable and robust phenotyping framework to analyse root system architecture of soil-grown plants"
Cristobal Concha attended the The University of Edinburgh Graduate School of Biological Sciences Poster Day to present his 2nd year PhD work “Studying the role of soil microorganisms in chickpea root system architecture regulation”. Several of our team (Sotirios Tsaftaris, Valerio Guiffrida and Thibaut Bontpart) attended the Computer Vision Problems in Plant Phenotyping (CVPPP) workshop in Newcastle, UK. 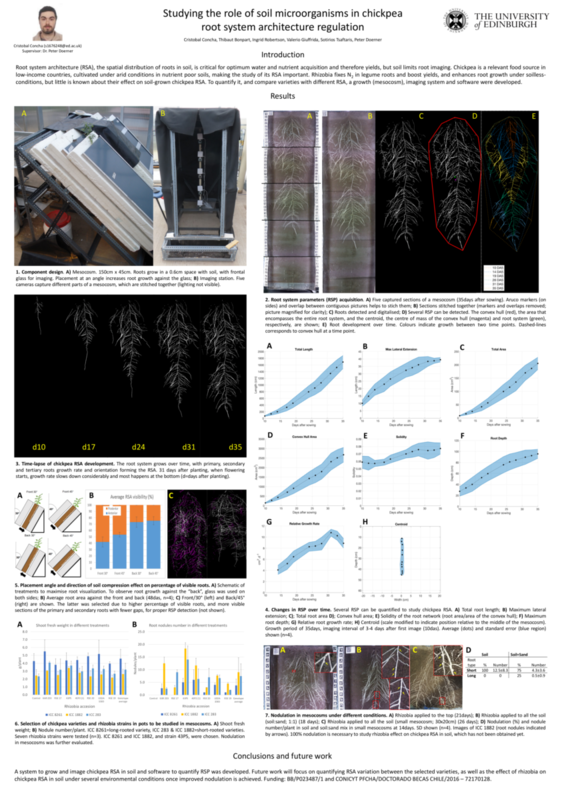 This workshop allowed us to showcase our research with a poster presentation: “An affordable system to phenotype the root system architecture of the chickpea”.